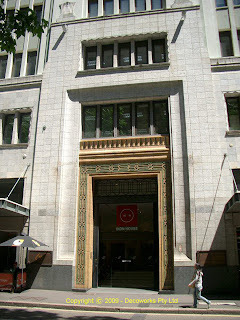 Asbestos House at 65-69 York Street in the Sydney CBD was designed by Robertson and Marks in association with John Reid and Sons in 1927. It was planned in two parts; the first was completed in 1928-29, and the second in 1934-35 to a design by the same architects. 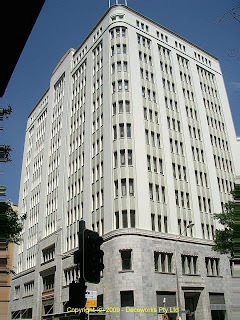 The building was praised for its delicate colouring (external terracotta) and its harmonious design. Also known as James Hardy House, the building is listed in the RAIA Registry of Significant 20th Century Buildings.